The goal is to render 10 images and copy them all into computeBuffer in order. But on some GPUs, the Render() and Dispatch() calls are done out-of-order – sometimes all the Render() calls are done before the Dispatch() calls, resulting in all 10 images in the computeBuffer being identical. Other times, the Dispatch() calls are done just one iteration early or late, shifting the resulting images up or down in the buffer, or resulting in duplication of certain images. I don’t know whether this is a Unity bug or a GPU memory model limitation, but I needed to find a workaround. 681089 ([TEXTURE2D] TEXTURE2D.READPIXELS() FAILS IF RENDERTEXTURE HAS ANTI-ALIASING SET) and was causing some serious problems for my Panorama Capture plug-in, since it prevented me from enabling MSAA anti-aliasing. If I tried, it would cause my output renders to be solid black. VRCHIVE is a website (currently in alpha) for sharing static 360-degree panoramas and viewing them in VR. I was asked by VRCHIVE to create a Unity script to capture monoscopic 360-degree screenshots in-game (in both traditional and VR games) and upload them to the VRCHIVE website. In addition to or instead of uploading, it can save the panoramas to disk as image files with equirectangular and/or cubemap projections. It is designed to capture high-resolution panoramas (typically 8192×4096) without causing FPS drops or other issues that are problematic in VR applications, and can be used both by developers and by end-customers who purchase their games. This is a little tiny package I whipped up for a friend who wanted to be able to fade the screen to black and then fade back in in a Unity 5.x application (this is particularly useful in VR since tracking issues are invisible when the screen is faded). Usage: Create an empty game object, assign the ScreenFader script to it, and adjust the parameters. Leave “Fade in” checked. At runtime, when you toggle the “Fade in” parameter, it will either fade out (when disabling it) or fade in (when enabling it). It can be toggled from scripts, from Playmaker, or via the editor. This was a code snippet I did earlier for some work with light field mesh parameterizations. 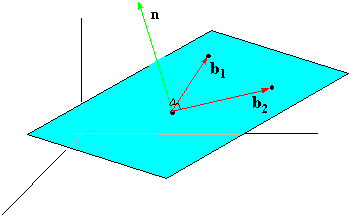 I had a normal vector and wanted to find two orthogonal vectors spanning the plane that the vector is normal to, in order to project another vector into it. This is an underspecified problem, as given one vector, there are many pairs of two vectors that are orthogonal to that vector and each other. This extra degree of freedom can be used to construct a numerically stable procedure that also uses less operations than computing a cross-product. In the C# code snippet below, n is the input vector and b1 and b2 are the output vectors.